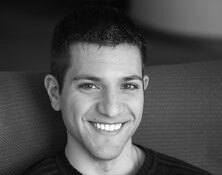 As a registered Intern Architect with the Ontario Association of Architects (OAA), Tony Di Nardo is well known for his critical insight, creativity and attention to detail. His project expertise ranges from small outbuilding designs to renovation and new construction of commercial and residential projects. Tony earned a Diploma of Architectural Technology from St. Clair College in Windsor, Ontario and a Bachelor of Environmental Design Studies in ’07, followed by Masters of Architecture in ’10 from Dalhousie University. While at Dalhousie, Tony had the opportunity to learn from some leading Canadian Architects including Brian MacKay-Lyons of MacKay-Lyons Sweetapple Architects, whose work combines modernism with the vernacular. While in Halifax, Tony interned at WHW Architects, one of the Maritimes' largest Architectural firms. Upon returning to Ontario, he worked with Richard Librach Architects and Archdesign Architects, two well-known Toronto architecture and planning firms whose projects include custom modern homes and large urban and commercial projects. As of 2010, Tony has been a self-employed Designer. He has worked independently on design projects and collaborated with a variety of architects, designers, engineers and clients. Tony is currently working with Q4 Architects Inc., a well-known architectural firm specializing in residential design, community planning, and institutional and community buildings. The wide range of projects is allowing Tony to further hone the skills needed to fulfill his lifelong dream of becoming a registered architect. The work presented on this website showcases Tony’s skills gained through educational and practical experiences, and illustrates various concepts and styles with which he has experimented. Tony’s passion has always focused on the simplicity and minimalist characteristics of a building and how they relate and enrich the everyday environment of the people that encounter them.